08/03/19 – Baloo has been adopted! Hooray! 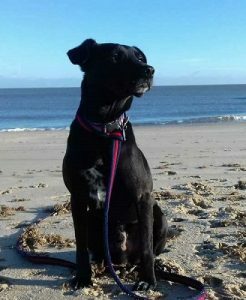 Baloo is a 7 year old, medium sized black Labrador cross, in foster care in Norfolk, through Safe Rescue. 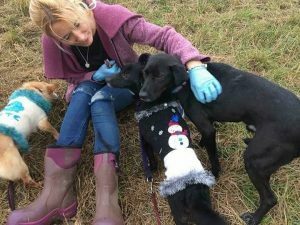 He was rescued from a shelter in Romania and brought to the UK by another rescue. 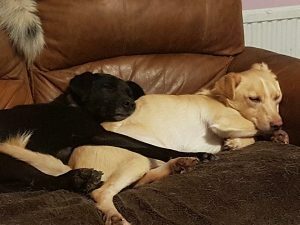 After a few weeks with them they felt they couldn’t give him the socialisation he needed to progress him enough to be fit for adoption so asked if Safe Rescue would help. Of course, they agreed! Baloo is a dear boy with a sensitive nature. 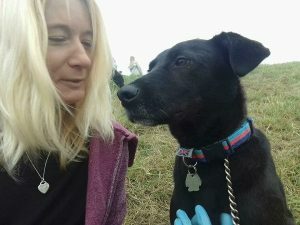 He bonded with his foster carer very quickly and the key to him gaining confidence, lay in his walks. Initially he didn’t want to go and jumped at every sound but now he follows her around the house until she takes him out. Once out, he has the time of his life! 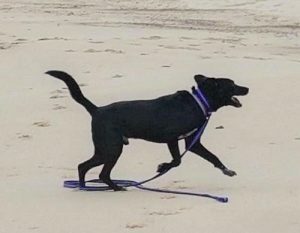 It’s so wonderful to see the sometimes uptight dog that he can be, relax into the playful, tail wagging chap he is when he’s running through the fields or on the beach. He’s still quiet at home and extremely well behaved. On walks, he comes into his own and has a lovely time running and playing with his pals. Ideally Baloo will find a home with one or two other confident dogs, as he really does enjoy canine companionship. This quiet and thoughtful boy needs someone who understands that life is still scary for him sometimes. He is now only mildly shy with strangers and will allow new people to stroke him within only a few minutes of meeting. 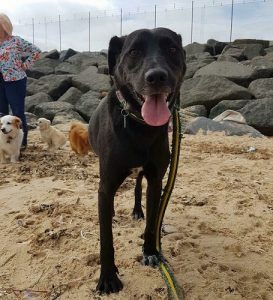 In the year he’s been with Safe Rescue, he hasn’t had a single enquiry and probably gets overlooked, just because he’s black. He really deserves to be given the chance of a home of his own. 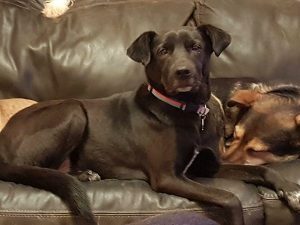 Please say you saw Baloo on the Oldies Club website.